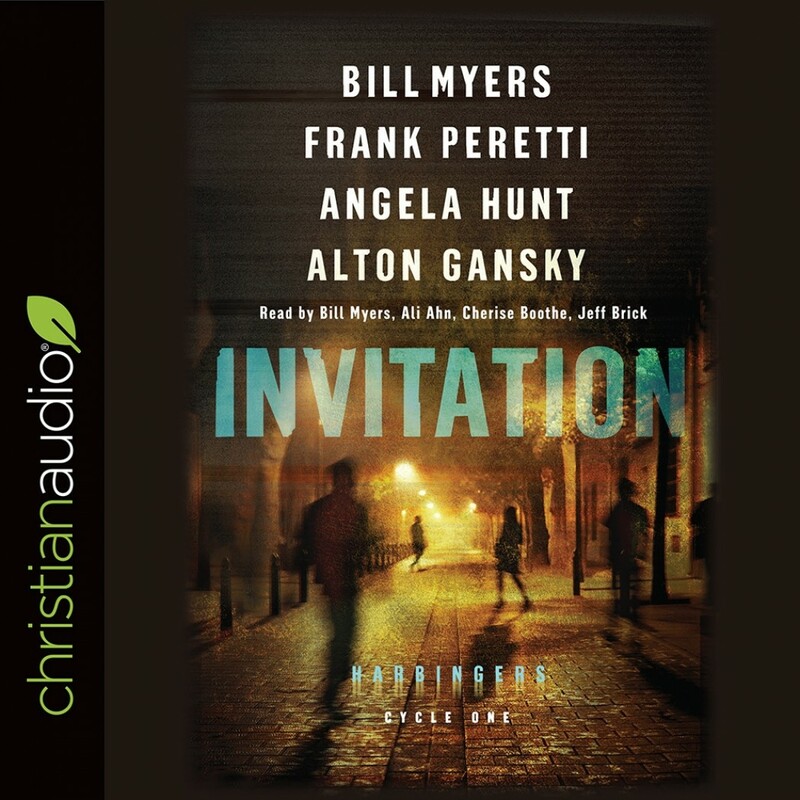 Invitation | Bill Myers, Frank Peretti, Angela Hunt & Anton Gansky | Audiobook Download - Christian audiobooks. Try us free. In the first cycle of the Harbinger series, four strangers discover they have extraordinary gifts and are brought together to fight a growing darkness. Meet the members of the Harbingers team--each written by an acclaimed author--in four linked episodes! Fast-paced and ongoing, this thrilling suspense collection reads like your favorite TV series. Four Bestselling Authors Team Up for Thrilling Supernatural Suspense Gathering four stories from four bestselling author friends, Invitation is the first collection in the ongoing Harbingers series. In "The Call" by Bill Myers, four strangers are drawn together to help a student at the mysterious Institute for Advanced Psychic Studies. His gifts are supposedly being honed to assist world leaders . . . but there are some very disturbing strings attached. Frank Peretti's "The Haunted" confronts a supernatural mystery, a case of murder, and an exploration into the darkness of the human heart, all centering around a mysterious house. In Angela Hunt's "The Sentinels," animals around the world are mysteriously dying. What could it mean? When the tragedy begins to touch Andi's dreams, she discovers a terrifying theory. "The Girl" by Alton Gansky is a gripping tale of a young barefoot girl found holding a scroll in the snowy Oregon mountains. She is sweet, innocent--apparently not of this world--and something wants to kill her.